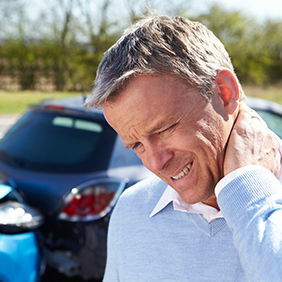 We specialize in treatment for injuries suffered in auto accidents such as whiplash & lower back pain. Welcome to Utah Spine & Accident Clinic. We are pleased to be your West Jordan Chiropractor! If you need chiropractic care or massage therapy and you are looking for a chiropractor in West Jordan, trust in the experts at Utah Spine & Accident Clinic. Whether you’re suffering from pain and injuries from an auto accident, you’re pregnant and need relief, you looking for orthotics for aching feet, or you’re simply interested in chiropractic care, our clinic can make a world of difference in your pain levels. Dr. Elizabeth Casos Draney, D.C. studied at Los Angeles College of Chiropractic and promptly returned to Utah to begin her practice as a licensed chiropractor. She brings almost two decades of experience to the science and art of her profession. She helps auto accidents patients navigate the sometimes arduous process of attorneys and insurance, as well as providing excellent care. Dr. Gina Barfuss, D.C. also studied at Los Angeles College of Chiropractic and follows after her father who was a chiropractic physician. It's in her genes! She brings similar skills to the practice as well as proficiency in IASTM (instrument assisted soft tissue mobilization) and kinesiotaping. You will see her in athletic attire frequently instructing patients on exercises, functional movement, and core stabilization. Naomi Mackert, LMT studied at the Utah College of Massage Therapy and is also certified in the AromaTouch Technique which incorporates essential oils in the massage. We are very excited to welcome Angela Colton and Tobey Webb to the practice. They bring years of experience in massage therapy to our clinic. Spinal and Extremity Adjustments - Adjustments are critical to correcting spinal dysfunction, reducing pressure on nerves and joints, and treating traumatic injuries in the spine and all other joints in the body. Auto Accident Injury Treatment - Auto accidents are usually not only inconvenient, but they are stressful and can cause injuries to any part of the body. As our name suggests, we focus on treating patients that have been in car accidents. Spinal Decompression - A wonderful alternative to surgery and other invasive procedures for neck and back pain, disc injuries, and compressed nerves with or without arm or leg pain. 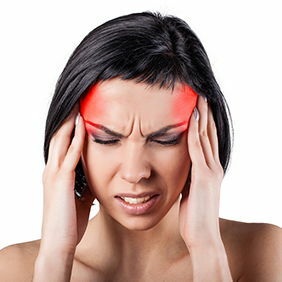 Massage Therapy – Take care of tight, sore muscles that work hard to support your spine and body, especially after a car accident or other injuries. Pediatric Adjustments - Children are very active, but also sit for hours in school, carry heavy backpacks, and participate in sports. Children need chiropractic care as much as adults. We have family plans so bring the entire family. Custom Orthotics – We offer custom orthotics because the feet are the foundation of the body. Plantar fasciitis and heel pain are common problems, but the feet can affect other joints as well. We are happy to perform a digital scan to check the condition of your feet. Essential Oils - As a wonderful natural alternative, essential oils are used routinely in our office. Essential oils are applied during chiropractic treatments and during our massage therapy sessions to soothe and invigorate. Classes are held regularly and you can make an appointment just for an essential oil health consultation! If you are ready to make a difference in your quality of life and reduce pain the holistic way, get in touch with Dr. Elizabeth Draney at Utah Spine & Accident Clinic. You can reach us by phone at 801-280-2548. Our address is Utah Spine & Accident Clinic, 7613 South Jordan Landing Boulevard, Suite 120 in West Jordan. See you soon! Dr. Draney knew from the time she was 15 years-old that she would be a chiropractor one day. So that's what she did. She isn't your typical doctor. Whether you are nervous about seeing a chiropractor, or feel like you need a doctor to actually listen to you, or you want natural options to health concerns, you will want to meet this doctor. 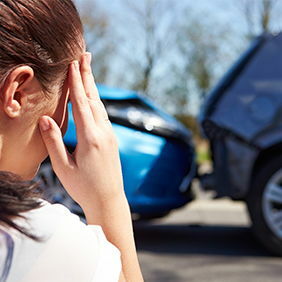 Have you been in a car accident and you are confused about property damage, PIP coverage, attorneys, treatment, and talking to insurance adjusters? Dr. Draney is happy to guide you through the process. Corinne joined the office staff after first coming to the clinic as a car accident patient. She loved the doctor and the staff so much, that she wanted to be a permanent part of the clinic. Fresh from Georgia, this peach has some sass. We feel lucky to add Marissa to our team. Naomi decided to become a massage therapist in 2013 because she wanted to help people escape chronic pain cycles. She specializes on customizing every massage based on each person's specific needs. She is experienced in treating clients who are injured in auto accidents. She wants every client to enjoy the benefits of a relaxing massage in order to feel their very best! Tobey Webb studied at Utah College of Massage Therapy and wants to introduce everyone to Cranial Sacral Therapy and Unwinding. She decided to go to school for massage therapy after her husband pushed her to decide on a career. Massage was always something she was fascinated with and has enjoyed helping people ever since. She graduated from UCMT in December of 2011 and completed the Master’s Program in March of 2012. Each person and each injury are different and customizing the massage to best help your needs is a passion. She has 4 years’ experience helping people feel better after an auto accident.
! I would recommend Utah Spine and Accident to anyone and everyone! I always have been a fan of Chiropractic treatment and Dr. Draney is tops! Was in tons of pain walking, sitting and standing up, and come to find out my pelvis was twisted, (not to mention my back and ribs that seem to always go out) she got me straightened out and I was able to walk pain-free again! I would recommend Utah Spine and Accident to anyone and everyone! "Dr. Draney is gentle, careful and very effective. I have recommended her to people in their 30s, and also in their 80s. She's an amazing and caring person and wonderful to work with." atients' health and welfare are beyond expectations. I recommend them to anyone. They are honest, truly caring and really know how to help patients live without pain. Going to chiropractor, Dr. Elizabeth Draney, and Barbara George, her massage therapist was the best decision I've ever made. They and their wonderful office staff have helped me through several back injuries, auto accidents and other health problems. Their expertise and genuine concern for their patients' health and welfare are beyond expectations. I recommend them to anyone. They are honest, truly caring and really know how to help patients live without pain.